In an attempt to mitigate the transportation/access issues surrounding the Oakland A’s proposed stadium development on the city’s 55-acre Howard Terminal site, adjacent to Jack London Square, the A’s have proposed building a gondola to the ballpark. As envisioned, the half-mile gondola would run from the Washington and 10th Streets, near the Marriott City Center and 12th Street BART Station, to Water and Washington Streets, with the capacity to move 6,000 people per hour in each direction, the ticket price for which has yet to be established. While the $123 million gondola would be operational during all our home games and special events at the ballpark, it wouldn’t necessarily be operational on off days. And once again, the A’s are ambitiously positioning to break ground in 2021 and have the new ballpark and gondola concurrently open in the spring of 2023. This gondola will generate a lot of economic activity for downtown Oakland and Jack London Square. The gondola will be a year round operation and will become a tourist attraction in its own right with commanding views of downtown Downtown, the Oakland hills, and the Bay. This is a great idea which should be extended across the Oakland Estuary to Alameda. As noted above, while the A’s expect the gondola to be operational during all our home games and special events at the ballpark, there is currently no commitment to staffing and operating the line on non-event days or hours. That will definitely change. This will be a scenic and convenient mode of transportation for tourists, locals, and office workers heading between City Center, Old Oakland, and Chinatown, to Jack London Square. 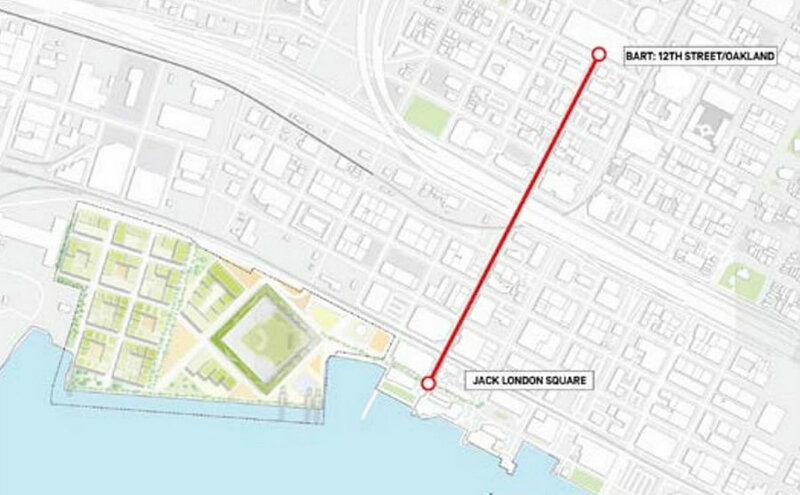 It will also directly link 12th Street BART to the Bay Ferry at the Clay Street Pier. With the new hotels under construction and in the development pipeline in DTO and JLS, the gondola will be a tremendous tourist attraction for Oakland, much like the gondola at the Oakland Zoo has been a great success. I’d like to see a spur to Brooklyn Basin/Hotel Row along the Embarcadero. I think the planned density at BB could warrant the extension from JLS and would connect this part of the waterfront to the rest of the city. Great idea! Brooklyn Basin will eventually have close to 6,000 residents. Either a gondola running parallel to the waterfront, or a street car line running down Embarcadero connecting to the gondola at JLS. Downtown ballpark capacity has been published as roughly 34,000 seats. With a gondola moving up to 6,000 people an hour at the very most it would handle about 1/6th of the full-house capacity. (I don’t expect people will line up & wait more than an hour to ride the gondola in either direction.) 18% of total capacity is a respectable number but on the low side. I agree w/ E. Gonsalves (!! for the first time in world history ) that it could become a regular tourist attraction IF that use is staffed & budgeted as part of the long-term operational plan. In the larger picture, the better solution would be to do a mini-Big-Dig & tunnel the 880 freeway + 980 interchange and turn the corridor into a park. Just as it took the demolition of the Embarcadero fwy. in SF to finally revitalize SF’s waterfront, removing the huge “wall” of 880 between DTO & JLS would bring a sea-changing character improvement to the 5-block-wide swath to either side of the freeway. Maybe Microsoft, Google, Facebook, & Salesforce will pool their piggy banks to pay for it. Unless it’s a big money maker for the A’s, the gondola will be dormant off season. Honestly, how would it run with capacity to make money without a game? Then once it breaks down and the A’s realize it’s not worth fixing, cuz hey the stadium is built, it’ll be a decaying relic. Anyone see that Simpson’s episode about the monorail? That’s a very good point. It probably won’t be cost-effective to run it as an off-hours / non-game tourist attraction. There likely aren’t enough tourists-per-hour who want to make the trip. And if it goes underused, you’re right, it would probably cost ?? 25% or more of the build cost just to demolish & dispose of it. The ballpark is just part of a huge development consisting of 50 acres along with adjacent neighborhood development. The Downtown Oakland development plan recently shown on this site, calls for 29,000 new housing units in DTO, including in JLS. The residents on the waterfront will use the gondola to either get to the growing and shinny Oakland City Center where two new office buildings consisting of nearly 1 million square feet of office space are currently under construction, or they will use it to get on BART at 12th Street and head to work in SF. The 50,000 new Downtown, Uptown, Old Oakland, and Lake Merritt residents, will use the gondola to get to all the parks, recreation, Ferry, and events at Howard Terminal and Jack London Square. The gondola will be a tremendous success even when the A’s are not home. There will be other events lsuch as farmers markets, boat shows, and concerts on the waterfront. Picture a more natural and recreational Fisherman’s Wharf for Oakland with plenty of parkland along with a network of docks and piers. Tourist attraction, just like the “gondola” at the Transbay Center? That’s not really a gondola. It goes what, 50ft? Oakland already has a functioning and successful gondola at the Oakland Zoo. This proposal is super elitist. “let just fly over all the homeless people below” This continues ignoring the broader city instead of using the As move as an opportunity to invest in the people, streets, businesses nearby. How about improving the freeway underpass along that route too? I walk through there every day to get to work in Jack London and have almost been hit by cars many times. This is just another fun and interesting transportation option. This is not intended or cabable of transporting 35,000 baseball fans to the ballpark. Many people will choose to walk the .08 miles down Broadway or Washington to the ballpark. Some will park in garages and walk over the train tracks via foot bridges. Some will take the bus down Broadway. Some will walk from the many thousands of housing units downtown and Jack London Square. Your post is super ableist. Not everyone can walk that far. well, .08 miles is only about 140 steps. “Ableist.” Is that actually a thing? As in “able to walk?” If so that’s kind of a silly neologism. People who can’t walk, won’t walk I guess? But the vast majority…can? Imagine the services that could be provided to those who need it with the money saved by expecting most people to just walk. Or they could just save 123 million and keep the stadium where it is. Renovate the existing stadium and develop the existing site. This seems like a great idea! Are there models for what this will look like in other cities? I assume it wont look like a ski lift. Will it fly over the freeway? It would be in enclosed cabins over the freeway. Check the Roosevelt Island tram in NYC. With 12 to 14, 35-person cabins on the line as envisioned, the gondola would look/operate more like Squaw’s Funitel than either the OHSU or Roosevelt Island trams. Infrastructure of that size & magnitude begs to be designated & planned as dual-use. The machinery is designed to run continuously 12 to 18 hours of every day, 350+ days a year. If it was only used for stadium events it’d be a sad case of underutilization. Is the capacity of the Squaw valley gondola 100 persons per minute? Sounds like a lot, but I do recall from other ski resorts that they can move a lot of people up the mountain. The Squaw Valley Funitel carries 4000 people per hour. The Funitel crush load is ~4032 PPH, but that’s with the seats folded up and 28 standing sardines per cabin, running full-speed with a car every 25 seconds (144 cars/hour). More typical load is 18/car (9 sitting, 9 standing) or ~2600 PPH. I’ve used the crush-loaded Funitel and it’s pretty darn uncomfortable. Internationally, google Singapore Cable Car to Sentosa Island, built in 1974. I haven’t taken it or plan to take it since it is mainly used for people who want to go to Universal Studios and other kids’ parks on Sentosa Island. I am sure there are many other gondolas globally which are also tourist attractions i.e. Tram do Corcovado in Rio de Jainero, Brazil or Mount Monserrate in Bogota, Columbia. I’m sure you meant Pão de Açúcar. The Trem do Corcovado is a railway. I’d love to see this gondola concept expanded to include a new crossing over the estuary to Alameda. A three-stop gondola from Alameda Landing to Jack London to Old Oakland would be even more useful for both the A’s (some people could park in or near Alameda Landing, and two directions of travel would increase overall hourly capacity to and from the ballpark) and for a variety of other trip times and purposes (western Alameda commuters going to Downtown Oakland, bicyclists and pedestrians that want to cross the estuary, etc.). First thing I thought of, it seems a waste to only go to a part-time use stop. Make it go to alameda ferry landing. And if you can get BART to pony up some money, then you could resurrect the AirBART name for it. It’s like half the distance from Montgomery BART to AT&T park. Improve the street experience and add zero emission game day shuttles. From my experiences at Giants’ games most fans could use that short walk to sober up before entering BART. Personally, I just walk, but there are already other options. The free Broadway Shuttle connects uptown, downtown, old oakland and JLS, conveniently linking ferry, amtrak, both bart stations and many AC transit lines. It would be great if this was a streetcar line. And connect to Alameda. My, my: is this an exclusive SS scoop, or they just happened to be in JSL and this was in the window or something? Anyway, I’d take the cost e$timate with a grain…or two…or a whole bagful of salt: IIRC that was approximately the prelim for the BART OAK Connector – the one that gave EG his prized 9th Oakland Stop – and it ended up ~$500M; of course decades passed b/w the first figure and actual construction and that’s not the case here…yet, anyway. There’s no way the A’s will spend an extra $100M on a gondola. There’s also no way the cost wouldn’t go up a lot in the process of actually building the system. While this would help on game days, it would be a maintenance liability and a vandalism magnet for the remaining 99% of the time. It is a dumber idea than the OAC. Downtown Oakland needs to just come to terms with the fact that there’s a freeway separating JLS and make the best of it. How about just inducing retail businesses to line the existing street corridor to make the walk more appealing? Portland has revitalized much of their distributed blight just with food trucks and trailers. 6000 people/hour is 100 people/minute. That’s a fast moving line! Cute bandaid to the needed submerging of 880 and connecting JLS with DTO. Light rail? Once that depressing bisecting high barrier is down. BART can’t even keep their escalators working for more than a week at a time. This sounds like lipstick on the ballpark funding pig but IMO is DOA. Groundbreaking to opening day in two years; that’s cute. Complete the line to Alameda and apply for federal and state transportation funds. Alameda already has excess traffic through the tunnels and could use something like this. And if you want to see how this might work in an urban setting, Google La Paz, Bolivia which is building out a gondola system throughout the city. Anybody know why doesn’t the city put a ‘lid’ on 980? it’s already sunken into the ground. Couldn’t the city cover it between the overpasses at 11th and 18th and make an amazing park and connect west Oakland and downtown? Are the A’s paying to build it, or is Oakland? Article doesn’t make this clear. If it’s privately funded, go nuts. It’s ridiculous, but whatever. If the idea is for the people to pay, I hope this gets thrown in the dustbin. The investment should go into dedicated bus lanes on Broadway and improved service frequency on the lines that already serve this trip. It was a gimmicky idea when the Dodgers looked at it, and it’s a gimmicky idea here too. The max capacity can realistically only handle a relatively small percentage of stadium’s capacity. Theoretically better than nothing? Sure. A cost effective way of moving a lot of people to a large venue? Not really. A better idea would be streetcar lines connecting West Oakland BART, Lake Merritt BART and 12th Street City Center BART Stations with stops at Howard Terminal, Jack London Square and Brooklyn Basin. Totally agree. Obviously there’d be a huge difference in cost but a much more sustainable and realistic use of time and money. At a minimum, a free, dedicated shuttle would suffice. Anything that runs all year would be a plus. I haven’t read all the way through all of the documents and plans, but it’s surprising to me to not see any sort of discretionary transportation fund for improvements between the stadium and the CBD. The problem is that JLS and Brooklyn Basin are on the “other side of the railroad tracks”. The brilliance of the gondola is that it traverses both the highway and the Amtrak/freight line. I do not understand how either the freeway or railway are considered substantial obstacles. Nearly every street passes under the freeway without obstruction. Trains are short and infrequent enough to be a minor nuisance. A gondola makes sense when there are substantial obstacles: a steep hillside, a river, etc. Unless there is a big gain in access the expense (both in construction and ongoing maintenance) of a gondola isn’t justified. Agreed. Light the underpass and keep it clean. Problem solved at way less than building a gondola. It will be a pleasant urban stroll from BART to the stadium. Run shuttles for those who can’t walk that far. A gondola is completely unnecessary. MoD, Note that I was responding to a post about a street car. I agree the highway is not a “substantial obstacle” to a light rail line; however, the railroad tracks are, I believe, a different story. Right, crossing heavy rail and light rail is a problem. Not so much a technical problem (railway grade crossings were built done long ago), but regulatory as the Federal Railway Administration frowns on railwayXrailway grade crossings. The FRA would likely insist on a grade separated crossing which would be very expensive in both $ and street space. A safe grade crossing is possible with modern sensor, signalling, and control technology but the FRA still lives in the 1950s mindset which is part of the reason why the USA is so far behind other nations. Amtrak trains include the Capitol, San Joaquin, and Coast Starlight trains totaling 42 trains per weekday. Freight trains average approximately 19 per day. In all, there are 61 trains per weekday running through the Jack London Square area today. I think he(she?it?) is also underestimating length: whereas the passenger trains are mostly short, the freights are often quite long. And that’s not an unimportant detail, because it’s the spectre of being held up by a train for 15′ that often prompts people to try to “beat it” across. Not sure where that 42 number comes from because I see only 32 Amtraks per day. Maybe Amtrak is entitled to make 42 runs per day but hasn’t yet expanded that much? OK, I agree that trains can be a hassle though personally I find climbing up and over a pedestrian crossing (or boarding a gondola) more of a hassle than waiting a couple of minutes for a train to pass. This is what I keep saying over and over. Literally every other option that has been presented is worse. I don’t understand the stubborn push for a new stadium in a new location. Vanity? Renovate the existing stadium, build up half the parking lot into a huge mixed-use development, call it good. Well, the A’s say that they are going to keep playing at the Coliseum until 2022, then they will move to this proposed site and redevelop The Coliseum site into a “home for tech, affordable housing, recreation, light industrial and retail.” Those plans essentially mean the Coliseum area would become a secondary revenue stream for the A’s that could help finance the new ballpark. With the phasing out of the A’s cut of Major League Baseball revenue-sharing money…the team needs to find more sources of revenue. Investment in a new stadium, with the kind of excitement that generates more ticket revenue, more suite sales, increased partnerships and naming rights, theoretically yields a return that can be plowed into the on-field product. Emphasis mine. Renovating the existing stadium would require having another place to hold games during construction, and it’s not clear where that would be. The main rationale behind the gondola is to get people across the UP tracks. Even now, people get killed now and then getting hit by trains along Embarcadero West/First Street. It would only get worse with thousands of people at a time going to and from the ball park. There are already three foot bridges over the tracks connecting two huge garages and the JLS Amtrak station, to the waterfront. There will be more pedestrian bridges from more garages. Not a huge deal. Also the trains are not very frequent. The trains go pretty slow and are very loud. Unless a person is completely careless and irresponsible there shouldn’t be a big issue. Other MLB ballparks have trains nearby. Two years ago two members of Tower of Power got hospitalized in critical condition when they were hit by an Amtrak train outside Yoshi’s just before 8 p.m.. The arms were down and the crossing signals were flashing. A freight train had just passed, but the Amtrak train was coming the other way on another track. Four people tried crossing against the signal. Two made it. Now think about people who have been drinking for a few hours in a Jack London Square watering hole and try crossing the tracks later at night. Or think about 30,000 fans exiting the ball park; suppose just 5,000 of them have a snootful of beer. When these people try crossing the tracks, it could be bad. Do you think that a drunk leaving an As game will be more likely to wait in line for the gondola or walk across the tracks? There are currently tracks right next to the coliseum and bars right next to the tracks next to JLS. People who tend to do stupid things will do stupid things regardless of where they are. Never cross the tracks when the arms are down and the lights are flashing. But the UP tracks really have little to do with this proposal, its purpose is to bridge the gap b/w BART and HT, which – enthusiastic statements notwithstanding – is a distance many people will not want to walk. I love the idea of a gondola, but this route makes zero sense. It’s an 11 min walk on the exact same route, vs a 4 min gondola ride. But wait… you’ll have to fight crowds, go up (and down) escalators that invariably break (see: BART), navigate entrance/fare gates, and wait in line both due to people ahead of you, and for the next gondola car to arrive. Oh, and pay $5-10 I’m sure. I’m sure people will ride it once for novelty, but when walking is both cheaper and considerably faster? This will start collecting dust, certainly won’t be viable on non-game days, and even on game days likely never see it running at capacity outside of the first few weeks. Look at the Oakland airport connector for inspiration on this one! I do think if there was more of a gondola network – say Grand Lake, Brooklyn Basin to JLS, 12th St, Alameda, West Oakland Station, up Mandela to Emeryville etc – it could make a little more sense. The cost seems to be more due to stations than in miles covered – which means it COULD be a cost-affordable, and minimally-disruptive way to add some transit connectivity to areas further from BART. But this 0.8 mile trip down Washington St? Not worth it. I’ve always said the route is easily walkable. The dishonest SF media started falsely telling the public that it was “one mile and 20 minutes from BART.” This is a total misrepresentation. 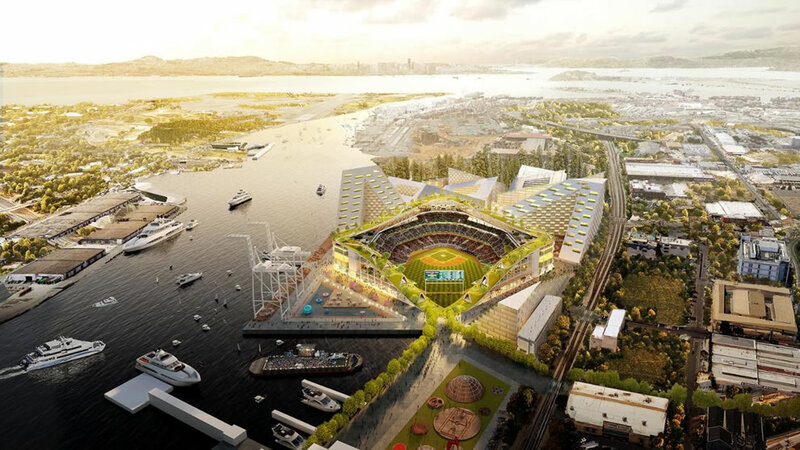 What do you expect from an SF media which is trying to discourage a ballpark on the Oakland waterfront. I like the gondola as another form of transportation and it would be great for Oakland, but it really isn’t a deal breaker as far as getting people to HT. I think we can all see that you’re pining for a gondola based on your two dozen comments about how cool it would be. The dog whistle “dishonest media” comment, on the other hand, is a bit random. Not totally sure what leads you think that SF doesn’t want Oakland to have a ballpark on the waterfront or lie about the distance — which is almost exactly 1 mile and is a 20min walk. You are repeating the inaccurate information. The walk is about 3/4 of a mile and 14 minutes from 12th Street BART to the centerfield gate next to the Clay Street Ferry Terminal. We’ve had individuals make the walk, time it and put it on social media. 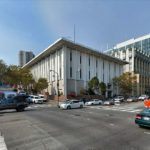 The SF/SJ media have written many articles denigrating the entire idea including making up lies about how “unpleasant” the walk would be, suggestion routes which wouldn’t be logical, suggesting BART stations such as West Oakland or Lake Merritt which are much farther than 12th Street/City Center as a way to confuse the public and muddle things up. The coverage of this ambitious Oakland project has been nothing like the cheerleading for a SF arena 1.7 miles from the nearest BART station in a congested area next to a hospital. Also, the constant skepticism and denigrating is always saved for Oakland. When Pac Bell Park was proposed in SF there was a huge cheerleading campaign by the media. You think people in Oakland and the East Bay are short on memory? We know exactly what happened and we see the huge difference in the way the SF slanted media is covering this ambitious Oakland project. That’s pretty rich coming from someone who has repeatedly been caught perpetuating conspiracy theories, parroting falsified information, and lying about themselves. It’s like your goal is to have as little credibility as possible and make enemies out of every single person who might otherwise support development in Oakland. And let’s deal in some facts here yet again. You AGAIN, 100% ignore that you can transfer directly from BART to the T Third line which takes you right to the door of both Oracle Park and Chase Center. This will only be reinforced when the Central Subway opens. And conveniently no mention from you of Caltrain, whose busiest station is ~0.2 miles from Oracle Park and ~0.8 miles from Chase Center, and also has a direct transfer to the T Third. See how easy it is not the compulsively lie about everything? Not doing yourself a lot of favors by using Trumpkin language there chief. The world is not some big conspiracy. So we get to include “transfers” from BART is SF, but no transfers to any other mode of transportation in Oakland. I see how your SF-centric mind works. Everything I said is factual including the cheerleading by the SF slanted media for big SF projects while at the same time casting doubt or marginalizing ambitious plans in Oakland. If we want to include all modes of transportation then the Ferry to Howard Terminal is less than .10 miles to the ballpark. The Amtrak Station at JLS is less than .25 miles to a Howard Terminal ballpark. Does the media ever mention these modes of transportation or the free B shuttle down Broadway? Of course not. The SF slanted media wants to create a false narrative that this site is inaccessible by transit of any kind. 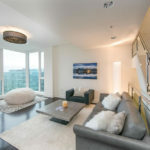 The site is also extremely walkable and bike friendly from the thousands of housing units in DTO and the waterfront. The perfect example of urban transformation using this transportation technology. In case anyone is curious here are renderings of the gondola system from BIG. We would strongly suggest taking BIG’s renderings for the system with an extra large grain of salt. OHSU’s decision to pursue a custom design for their gondola up in Portland, versus using an off the rack design, nearly quadrupled the original budget for their tram (and which led to the project nearly being cancelled mid-construction).